Praxair-Linde: Merger questions that are still to be answered? The merger of Praxair and Linde has taken several significant steps forward in recent weeks, with approvals secured in the Americas region (Brazil, Mexico) and arguably the two biggest divestment packages determined in Europe and the Americas. Praxair, Inc. has signed an agreement to sell the majority of its businesses in Europe to Japan’s Taiyo Nippon Sanso Corporation (TNSC), including industrial gases businesses in Belgium, Denmark, France, Germany, Ireland, Italy, the Netherlands, Norway, Portugal, Spain, Sweden and the UK. Meanwhile the Messer Group – in partnership with CVC Capital Partners – has entered into an agreement to purchase the majority of Linde’s gases business in North America and certain business activities in South America. 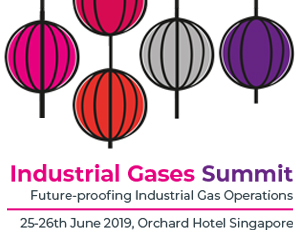 Yet questions still remain concerning the ongoing assets carve-up globally, and what all of this means for the gases industry. 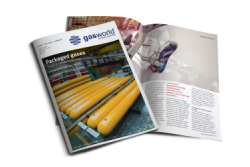 Here, gasworld looks at three questions related to this complex deal. What of Praxair’s remaining business in Europe? 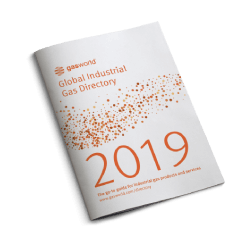 The merging German and US industrial gas groups have been in the final stages to deciding the winners of auctions for two packages of assets they are selling to address global antitrust concerns, namely the European and North American businesses up for grabs. We now know that TNSC (Taiyo Nippon Sanso Corporation) is to acquire the majority of Praxair’s European businesses in a deal for €5bn in cash consideration. But what isn’t yet known is what happens to the remainder of Praxair’s businesses in the region. Who could be the buyer waiting in the wings for those remaining assets, assuming they have to be divested? Could any of its joint venture (JV) partners, such as privately-held Italian industrial gas and equipment player SIAD (Società Italiana Acetilene e Derivati), buy out its shares in those JV’s? 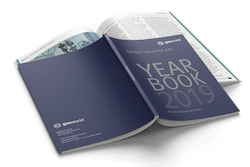 The two companies are known to have a number of ventures together spanning Austria, Bulgaria, Czech Republic, Hungary, Italy, Poland, Romania, Slovakia and Slovenia, for example. 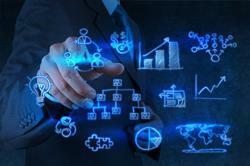 Could another strategic acquirer be in the mix? Any such moves could provide a smaller, but no less significant step forward in the merger securing competitive approval in Europe. Who and when are the questions lingering here. What impact of The Carlyle Group lawsuit? One of the biggest questions remaining for this whole merger had concerned the US market – what will it take to secure US Federal Trade Commission (FTC) approval and who will buy up these assets? We now know that the Messer-CVC consortium has an agreement in place for these assets, marking a somewhat romantic re-entry for the Messer Group into regions it had not been active in since 2004/5. But various reports in the business press in the weeks prior had cited ‘people close to the matter’ as indicating that TNSC and The Carlyle Group had emerged as the front-runners to buy the European and US assets on offer. With TNSC having picked up US assets divested when Air Liquide completed its $13.4bn acquisition of Airgas in 2016, the company was essentially ruled out of buying any further US assets from Praxair and Linde. It has also now been confirmed as acquiring those significant Praxair businesses in Europe. Which surely left The Carlyle Group in pole position to swoop in the US, if reports were to be believed. Or did it? 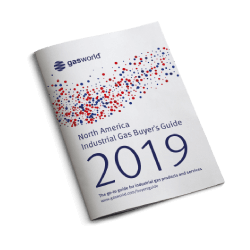 gasworld had understood it was all far from a done deal – and one now has to question what effect the lawsuit facing The Carlyle Group may have had on the private equity firm’s apparent leading position in purchasing the US divestments. It came to light in June that Airgas (an Air Liquide company) is suing The Carlyle Group and former Airgas senior executive Leslie Graff over alleged consulting with the private equity firm. 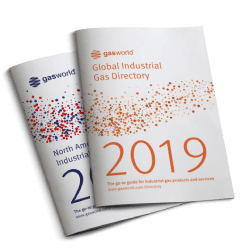 The company filed a suit in Pennsylvania on 12th June alleging that Graff took confidential information with him when he left Airgas this spring to work with Carlyle on a bid for assets Linde and Praxair are divesting. So did this cast terminal doubt over the group’s participation in the divestments, and did it leave the door open for another heavyweight to close on those assets? That’s the sort of thing that time will tell, if it does come to light. For now, we are reflecting on a nostalgic journey to full circle for the Messer Group, which has appropriately been celebrating 120 years of business in 2018, and the pending rise of another truly global player at the Tier One table. Could more M&A be on the horizon? Finally, could there also be a flurry of further, much smaller M&A taking place in the North American market once this deal has reached completion? 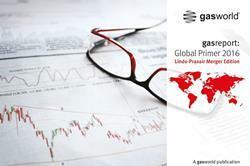 gasworld understands that the M&A climate in the industry has been somewhat ‘distracted’ in recent weeks and months as the mega merger of Praxair and Linde ramps up to its expected fruition. Rob CockerillRob Cockerill is the Global Managing Editor of gasworld magazine. 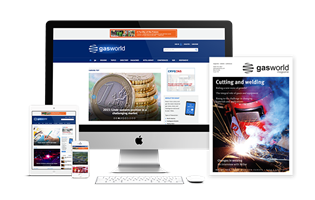 Having joined gasworld as news desk journalist in 2007, Rob has reported from a number of international industry conferences and events, exclusively interviewed some of the leading figures in the industrial gases business, and now heads up all editorial in his role as Managing Editor. A regular reporter, feature writer and columnist, in his current position Rob is particularly responsible for all magazine content and editorial planning. In 1898, Adolf Messer started a company from his workshop in Frankfurt-Höchst, Germany, for the fabrication of acetylene gas generators. He employed four blue-collar workers and one salaried employee. It has emerged in the last few minutes that a consortium of CVC Capital Partners and the Messer group is in advanced talks to acquire the majority of Linde’s gas business in North America and individual parts of Linde and Praxair in South America.